Were you recently informed that you may need to have an oral surgical procedure performed? 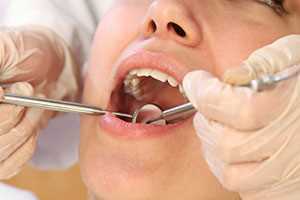 If so, the team at Access Dental Care is here to assist you and walk you through the process. We offer a variety of oral surgery and dental procedures that can correct any issues with your teeth and improve your smile. There are many reasons why someone may need to have an oral procedure performed and no matter the reason you need the procedure, we will be here to help you and keep you informed throughout the process. If you think that you may not need surgery, Dr. Song is ready to speak with you. He will look over your teeth and mouth to determine if surgery is truly necessary. We offer second consultations right here in our office, so do not be afraid to call and schedule one. If you are ready to simply talk about oral surgery and have the procedure performed, contact Access Dental Care today. If you have never had oral surgery performed before or you have never heard of it, then you may be wondering just what it is. Oral surgery is a sector within the dental industry that handles all types of defects, injuries, and disease the occur within the mouth, to include the jaw and joints. One of the most common types of oral surgery procedures is a tooth extraction and can be performed to remove a single tooth or multiple teeth at once. When you hear the word “surgery,” you may think that you have to head over to the hospital and spend a couple of days there recovering. It is actually quite the opposite. In fact, Dr. Song conducts all oral surgeries inside of our office and you are able to go home after the procedure has been performed. When you come in for an oral procedure, you can expect to be in our office for about one-hour total. If your needed procedure is more complicated and cannot be handled in an hour, you may need to have multiple procedures performed to reach the desired end result. If this is the case, Dr. Song will let you know. At Access Dental Care, we offer a number of different oral surgical procedures in our office. Below, we will talk about some of the available options. One common oral surgical procedure that is performed is the removal of the wisdom teeth. Sometimes, wisdom teeth do not have to be removed because they grow in correctly and do not pose risk to your other teeth. When these teeth do not grow in correctly, they need to be extracted to preserve your smile and stop any pain or infections that may result from their incorrect growth. Most wisdom teeth can be removed through a simple tooth extraction procedure and this procedure only requires the use of a local anesthetic. If you have a wisdom tooth that is impacted, it will need to be surgically removed, usually by cutting the gum. This procedure typically requires general anesthesia and Dr. Song will discuss the details of it with you. Sometimes problems arise with your jaw and surgery needs to be performed. Typically, trauma to the mouth is a common reason you may need surgery. When it comes to the actual procedure, Dr. Song will make the necessary incision in your mouth to access your jaw and joint. If you are missing one or more teeth in your mouth, you may be a candidate for dental implants. Implants are a surgical procedure that requires a titanium post being inserted into your jaw. The procedure is performed by Dr. Song in our office and will take multiple visits to complete, as the implants must heal before the abutments and crowns can be placed on top. When you are missing bone in your jaw, you may need to have it replaced to have an additional procedure done such as dental implants. This surgical procedure involves adding bone to any pockets where bone is missing in your jaw. Over time, the bone will regenerate and begin to develop and once healing is complete, dental implants can be placed. Tooth extractions are needed for a variety of reasons from tooth decay to a broken tooth or even trauma to a tooth. Dr. Song is skilled in extractions and will provide extractions when necessary. Typically, Dr. Song tries to save the tooth BEFORE an extraction is recommended. If you think that you need to have oral surgery performed or you believe that you would make a good candidate for dental implants, please call Access Dental Care today. All patients will need to undergo an oral surgery consultation before any procedure will be performed. Your consultation will include a thorough evaluation of your oral health and medical history. Dr. Song wants to make sure that you have the right procedure performed to meet your needs. When you are here, Dr. Song will sit down with you and discuss which procedures he thinks are best for you and he will also let you know if he recommends a surgical procedure. Once you have had the procedure done, Dr. Song will provide you with aftercare instructions and medication to help you recover quickly and with as little pain as possible. It is recommended that you follow the aftercare instructions and always report any changes or problems that arise. If you are interested in scheduling a consultation with Dr. Song, please call Access Dental Care today! We want you to be able to smile freely without having to hide your smile behind your hand.